The annual report gives an overview of the current state of the district, from fiscal health to academic accomplishments of the past year to challenges ahead. Mt. Laurel Schools has published its annual “State of the District” report, which is now available on its website. The annual report, mandated by state law, gives an overview of the state of the district, from fiscal health to academic accomplishments of the past year to challenges ahead. 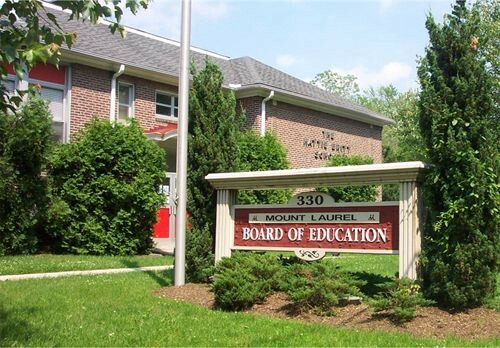 According to the report, as of April 6, the district reached an enrollment of 4,259 students, with 152 students in preschool, 2,168 students in grades kindergarten through fourth at the district’s elementary schools, 941 students in grades five and six at Hartford School and 998 students in grades seven and eight at Harrington Middle School. Broken down by demographics, 59 percent of Mt. Laurel’s students are Caucasian, 15 percent are Asian, 13 percent are African American, 4 percent are Hispanic and 9 percent are classified as other. As of April 6, Mt. Laurel Schools employed 732 staff members, with 410 certified staff members and 322 support staff members. Of the 410 certified staff members, 51 percent hold a master’s degree, 48 percent hold a bachelor’s degree and 1 percent hold a doctoral degree. “That’s a very highly educated and certificated staff that we have here in Mt. Laurel,” Rafferty said. In reviewing academics, the report details the most recent available scores for district students on the Partnership for Assessment of Readiness for College and Careers test. In language arts, 62 percent of third-graders met or exceeded expectations, 68 percent of fourth-graders met or exceeded expectations, 65 percent of fifth-graders met or exceeded expectations and 67 percent of sixth-graders met or exceeded expectations. For mathematics, 85 percent of Algebra I students met or exceeded expectations, 92 percent of geometry students met or exceeded expectations, 62 percent of third-graders met or exceeded expectations and 59 percent of fourth-graders met or exceeded expectations. “Those numbers are comparable to what you’ll see across the state and better than state averages in many areas,” Rafferty said. Rafferty also detailed educational initiatives, such a revised curriculum for Next Generation Science Standards implemented for grades six to eight, curriculum writing for Next Generation Science Standards for grades kindergarten through five, with implementation in September, and an update to third edition of the Investigations Math curriculum for grades two to six and more. “These are the things we’re funding through the budget,” Rafferty said. The State of the District report also details the district’s facilities, with the district having nearly 670,000 square feet of space with six elementary schools, Hartford School, Harrington Middle school, the Hattie Britt Administration Building, the Margaret Haynes Transportation & Learning Center and the Masonville Maintenance Facility. To view this year’s full State of the District Report, visit www.mtlaurelschools.org.